The Chandogya Upanishad is the Upanishad that belongs to the followers of the Sama Veda. It is actually the last eight chapters of the ten-chapter Chandogya Brahmana, and it emphasizes the importance of chanting the sacred Aum and recommends a religious life, which constitutes sacrifice, austerity, charity, and the study of the ​Vedas, while living in the house of a guru. This Upanishad contains the doctrine of reincarnation as an ethical consequence of ​karma. It also lists and explains the value of human attributes like speech, ​will, thought, meditation, understanding, strength, memory, and hope. The Kena Upanishad derives its name from the word 'Kena', meaning 'by whom'. It has four sections, the first two in verse and the other two in prose. The metrical portion deals with the Supreme Unqualified Brahman, the absolute principle underlying the world of phenomenon, and the prose part deals with the Supreme as God, 'Isvara'. The Kena Upanishad concludes, as Sandersen Beck puts it, that austerity, restraint, and work are the foundation of the mystical doctrine; the Vedas are its limbs, and truth is its home. The one who knows it strikes off evil and becomes established in the most excellent, infinite, heavenly world. The Aitareya Upanishad belongs to the Rig Veda. It is the purpose of this Upanishad to lead the mind of the sacrificer away from the outer ceremonial to its inner meaning. It deals with the genesis of the universe and the creation of life, the senses, the organs, and the organisms. It also tries to delve into the identity of the intelligence that allows us to see, speak, smell, hear, and know. The Kaushitaki Upanishad explores the question whether there is an end to the cycle of reincarnation, and upholds the supremacy of the soul ('atman'), which is ultimately responsible for everything it experiences. Katha Upanishad, which belongs to the Yajur Veda, consists of two chapters, each of which has three sections. It employs an ancient story from the Rig Veda about a father who gives his son to death (Yama), while bringing out some of the highest teachings of mystical spirituality. There are some passages common to the Gita and Katha Upanishad. Psychology is explained here by using the analogy of a chariot. The soul is the lord of the chariot, which is the body; the intuition is the chariot-driver, the mind the reins, the senses the horses, and the objects of the senses the paths. Those whose minds are undisciplined never reach their goal and go on to reincarnate. The wise and the disciplined, it says, obtain their goal and are freed from the cycle of rebirth. The Mundaka Upanishad belongs to the Atharva Veda and has three chapters, each of which has two sections. The name is derived from the root 'mund' (to shave) as he that comprehends the teaching of the Upanishad is shaved or liberated from error and ignorance. The Upanishad clearly states the distinction between the higher knowledge of the Supreme Brahman and the lower knowledge of the empirical world — the six 'Vedangas' of phonetics, ritual, grammar, definition, metrics, and astrology. It is by this higher wisdom and not by sacrifices or worship, which are here considered 'unsafe boats', that one can reach the Brahman. Like the Katha, the Mundaka Upanishad warns against "the ignorance of thinking oneself learned and going around deluded like the blind leading the blind". Only an ascetic ('sanyasi') who has given up everything can obtain the highest knowledge. The Taittiriya Upanishad is also part of the Yajur Veda. It is divided into three sections: The first deals with the science of phonetics and pronunciation, the second and the third deal with the knowledge of the Supreme Self ('Paramatmajnana'). Once again, here, Aum is emphasized as peace of the soul, and the prayers end with Aum and the chanting of peace ('Shanti') thrice, often preceded by the thought, "May we never hate." There is a debate regarding the relative importance of seeking the truth, going through austerity and studying the Vedas. One teacher says truth is first, another austerity, and a third claims that study and teaching of the Veda is first because it includes austerity and discipline. Finally, it says that the highest goal is to know the Brahman, for that is truth. The Brihadaranyaka Upanishad, Svetasvatara Upanishad, Isavasya Upanishad, Prashna Upanishad, Mandukya Upanishad and the Maitri Upanishad are the other important and well known books of the Upanishads. TS Eliot's landmark work The Waste Land ends with the reiteration of the three cardinal virtues from this Upanishad: 'Damyata' (restraint), 'Datta' (charity) and 'Dayadhvam' (compassion) followed by the blessing 'Shantih shantih shantih', that Eliot himself translated as "the peace that passeth understanding." The Svetasvatara Upanishad derives its name from the sage who taught it. 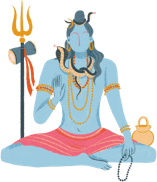 It is theistic in character and identifies the Supreme Brahman with Rudra (Shiva) who is conceived as the author of the world, its protector and guide. The emphasis is not on Brahman the Absolute, whose complete perfection does not admit of any change or evolution, but on the personal 'Isvara', omniscient and omnipotent who is the manifested Brahma. This Upanishad teaches the unity of the souls and world in the one Supreme Reality. It is an attempt to reconcile the different philosophical and religious views, which prevailed at the time of its composition. The Isavasya Upanishad derives its name from the opening word of the text 'Isavasya' or 'Isa', meaning 'Lord' that encloses all that moves in the world. Greatly revered, this short Upanishad is often put at the beginning of the Upanishads and marks the trend toward monotheism in the Upanishads. Its main purpose is to teach the essential unity of God and the world, being and becoming. It is interested not so much in the Absolute in itself ('Parabrahman') as in the Absolute in relation to the world ('Paramesvara'). It says that renouncing the world and not coveting the possessions of others can bring joy. The Isha Upanishad concludes with a prayer to Surya (sun) and Agni (fire). The Prashna Upanishad belongs to the Atharva Veda and has six sections dealing with six questions or 'Prashna' put to a sage by his disciples. The questions are: From where are all the creatures born? How many angels support and illumine a creature and which is supreme? What is the relationship between the life-breath and the soul? What are sleep, waking, and dreams? What is the result of meditating on the word Aum? What are the sixteen parts of the Spirit? This Upanishad answers all these six vital questions. The Maitri Upanishad is the last of what are known as the principal Upanishads. It recommends meditation upon the soul ('atman') and life ('prana'). It says that the body is like a chariot without intelligence but it is driven by an intelligent being, who is pure, tranquil, breathless, selfless, undying, unborn, steadfast, independent and endless. The charioteer is the mind, the reins are the five organs of perception, the horses are the organs of action, and the soul is unmanifest, imperceptible, incomprehensible, selfless, steadfast, stainless and self-abiding. It also tells the story of a king, Brihadratha, who realized that his body is not eternal, and went into the forest to practice austerity, and sought liberation from reincarnating existence.